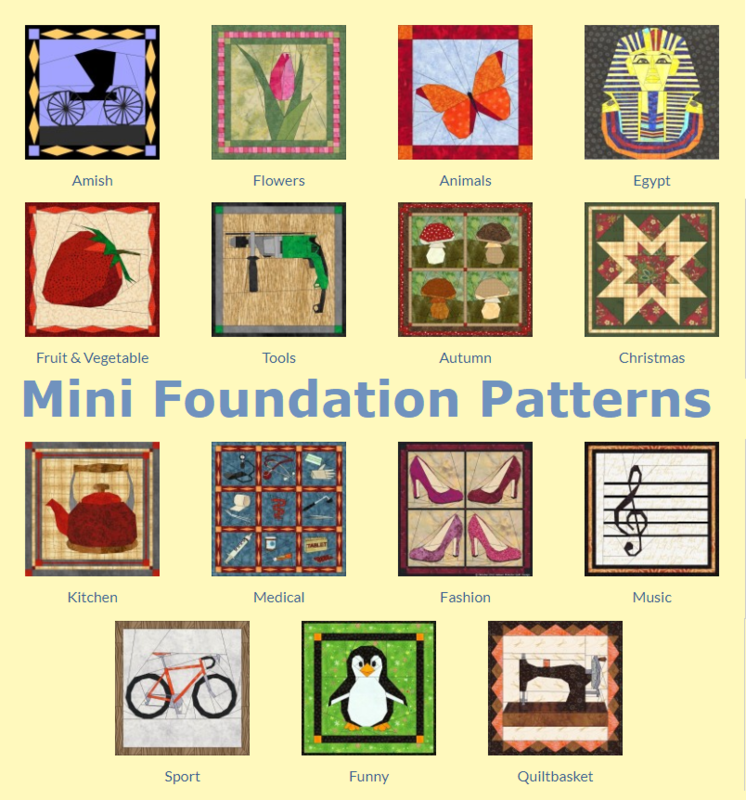 On this page you can choose from single-sided patterns or double-sided patterns . The patterns can be ordered by contacting via e-mail with the item codes of the selected patterns. You will receive an e-mail back as soon as possible including an invoice. After payment of the invoice, your order will be shipped by mail. Click on a spool to go to the page of your choice. Patterns with a Dutch flag are only available in Dutch. These patterns can be send outside The Netherlands. See ‘Shipping and Handling‘ for shipping rates. Single-sided patterns consist of more pieces and are therefore divided into several segments. Click at the picture below to go to the page with single-sided patterns. You can also click at the spool or the drop down menu at the top of this page. Double-sided patterns consist of one segment. These patterns have a front and a back side, which are mirrored images. By using different fabrics at both sides, very surprising effects can be made. 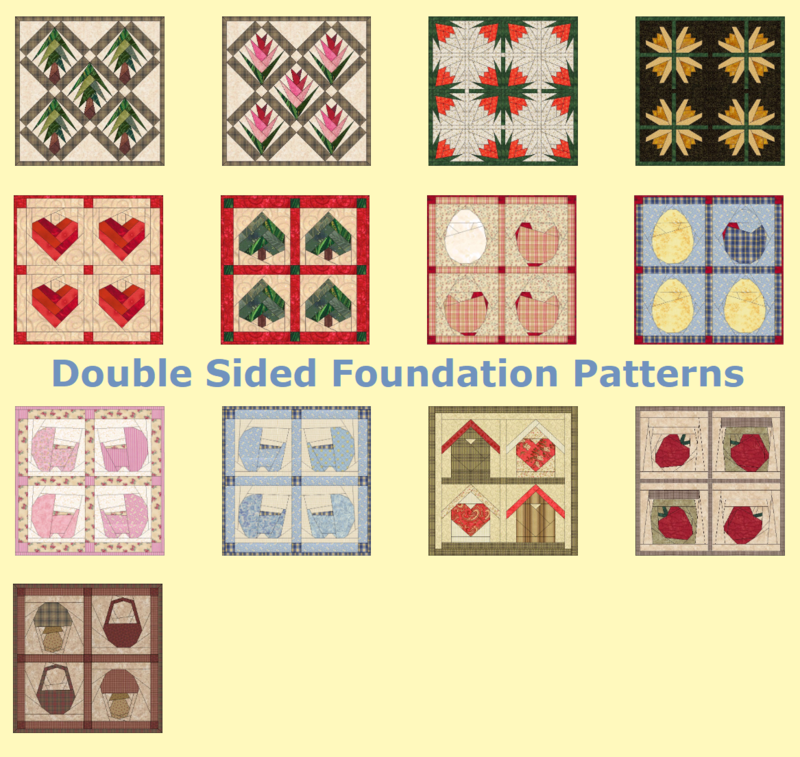 Click at the picture below to go to the page with double-sided patterns. You can also click at the spool or the drop down menu at the top of this page.